Do you use a purpose driven sales call process? Or make a sales call to just check in with a prospect or customer? “Hi Carly Customer I’d like to stop by to just touch base with you.” Does this sound like your approach to scheduling a sales call? 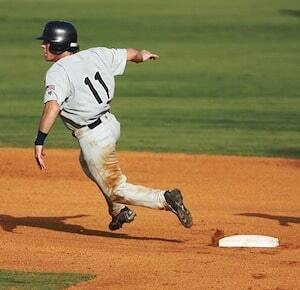 Don’t just touch base. Stretch for the next one. 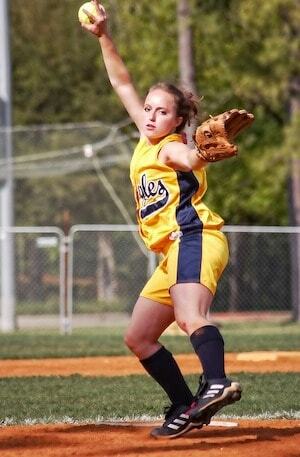 Some companies use the baseball diamond analogy for the sales closing process. Just stopping by to touch base wastes your customer or prospect’s valuable time. Have a compelling reason to meet with them each sales call. Everybody is busy these days, including you, champion salesperson. Just touching base leaves you exactly where you were in the sales process. It didn’t move you closer to the close. Using a purpose driven sales call process challenges you to have a compelling reason for each sales call…. Have you ever had a perfect sales call? One where everything went just like you planned? Spoiler alert: There is no perfect sales call. But with planning and preparation great salespeople achieve their sales call goals every time. Do You Plan Your Sales Calls? I agree with Tom & Tom that the perfect sales call begins with a plan. Great salespeople know what they want to accomplish during the sales call and how they plan to reach those goals. But they are also students of history and know every sales call will take off in unexpected directions. Nevertheless, great salespeople are diligent planners. When done effectively a sales call plan will help the seller lead the buyer to the desired conclusion. Every sales call needs a reason for making the investment. In one-call-close situations the reason is to get the order. In long sales cycle selling processes the seller needs to move the buyer along toward the successful close. Great salespeople know whether they are prospecting, qualifying, presenting or closing. Maybe the sales call is to maintain the relationship and get feedback on performance. 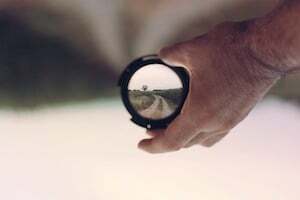 The primary objective is always the focus of the sales plan. Where Are You In The Sales Process? Every sales pursuit has a process. 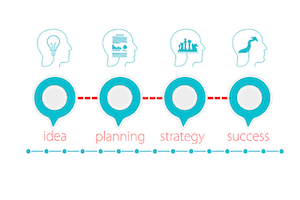 The sales call plan outlines the history of the pursuit to date. What has gone before? What is now known about the buyer and their team? How concerning is the problem they are interested in solving? Are they talking with competitors? Have you identified the key selling points needed to close the deal? What are the roles of the various buyer team members? Who has the power to decide in your favor? Is their budget sufficient to solve the problem? Knowing the history of the pursuit to date can help you plan the perfect sales call. To get to that next step a great salesperson includes trigger questions in the sale call plan. These are well thought out questions to get the information needed to close the sale. The trigger questions ask for the commitment to move the process forward. Since the process of the sales call is rarely linear, thinking of how the sales call might veer off track and questions to bring it back prepares the seller for the inevitable detour. Perfect sales calls begin and end with compelling statements. The opening statement tells the buying team why they should invest time in this meeting and what you expect to have happen. Great salespeople get commitment from the buying team on the objectives for the meeting before moving on. The ending statement reviews progress, gets agreement on common understanding of the buying process so far and confirms the commitment for the next steps. The concluding statement crafted during the planning will be modified based on the conversations during the meeting. Like I said at the beginning, no sales call will go exactly as the seller plans so be prepared to modify your planned summary. Then confirm the next step. 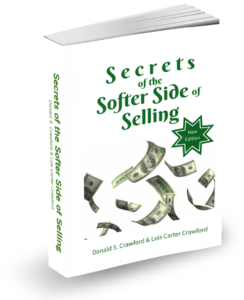 To learn more sales secrets see Chapter Sixteen, Making The Sales Call, in Secrets of the Softer Side of Selling. For even more sales help, join our FREE Sales Club! “See” you next week. Do you have a mobile device? Of course you. Do you use it to make telephone calls? I hope so. The telephone is a salesperson’s most valuable tool. Yes, today’s mobile devices are more powerful than computers were just a few short years ago. But for the great salesperson, the telephone feature is still the most valuable. Telephone conversations are real time dialogs. You can hear the nuances in the voice. And react to your prospects comments immediately. The phone is a salesperson’s most valuable tool because phone conversations move the qualification and sales process along quickly. You can create interest and desire real time using a phone. Often a successful phone conversation is the beginning of a mutually beneficial, long-term relationship. Are You Successful In Reaching The Decision Maker By Telephone? Prospecting is the art of finding good customers. Great salespeople realize the phone is a salesperson’s most valuable tool to begin the qualifying process. They have a script outlining their compelling reason for calling. Great salespeople either have a referral to the prospect or know who the decision maker is. They call with the intention to create interest and schedule a meeting. The prospecting phone call is one step in the selling plan to close a sale. Done well it will set up the process to convince the prospect to buy from you. Be respectful of the prospect’s time. Unless you have scheduled this phone conversation, your prospect is not just sitting around waiting for your call. The call is an interruption. After “Hello” start with an introduction of your name, your company and a short version of the compelling reason you are calling. Then ask: “Do you have a few minutes, or is this a busy time?” This is a magic phrase puts the prospect at ease and shows you respect their time. “I’m always busy. 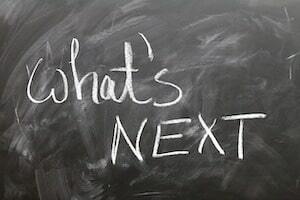 What to you want?” Now I can start the qualifying conversation and schedule a meeting. “Sorry, I’m in a meeting, (late for a meeting, preparing for a meeting, etc).” I then ask: “When would be a better time to speak with you?” And now I have a scheduled telephone meeting. The phone is a salesperson’s most valuable tool because it evokes an immediate response. When You Leave A Voicemail Is Your Call Returned? My policy is to only leave a voicemail message if I have a relationship with the person, they have asked me to call or they were referred by one of my best customers. The message is similar to the introduction to a phone call: my name, company, and compelling reason to call back. Then my name again and a phone number. If I will be unavailable to answer the phone for a while I don’t leave a voicemail. No sense getting lost is voicemail hell with the prospect and salesperson leaving voicemail for each other. If the prospect hasn’t called back in a reasonable time, I’ll call again. I may call several times trying to connect but I only leave the first voicemail. The phone is a salesperson’s most valuable tool when a compelling voicemail is used to move the selling process along. By treating the receptionist or assistant with the same respect as you would a decision maker at the prospect company, you can get significant qualifying information. You could learn of alternative prospects to speak with, best times to call, or your competitor just had a meeting with the boss. My script outline for speaking with a receptionist or assistant is similar to the one for the prospect: name, company and compelling reason for the call. Worst case is they will take a message and personally deliver it to the prospect. To learn more sales secrets see Chapter Fifteen, Setting Appointments, in Secrets of the Softer Side of Selling. For even more sales help, join our FREE Sales Club! “See” you next week. Do you flit from one task to another? Are you easily distracted? When you set goals are they actionable and achievable? Great sales people focus on their goals and do the activities necessary to achieve their dream. Are you a planner? Do you set goals for each day? Or are you one to just “wing it”? To be the best you need to manage your day in sales. Is this you? Hop in your car. Stop at the end of the driveway. Wonder whether to turn left to the first prospect of the day. Right to go to the office to make phone calls. Or head to the local coffee shop to check out the new barista. Most average sales people just “wing it” figuring something miraculous will happen today. Do you manage your day in sales like the best salespeople by having a plan for the day? How often to you plan social sales calls? 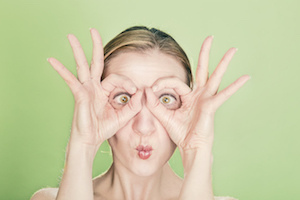 Do buyers see you as Mr. or Ms. Hard Sell? Are you always pushing for orders? Ever just relax with a customer or prospect? People buy from people who they like and trust. Let’s unpack that statement. First of all people really buy from people. Whoa, you think: “What about the book I ordered from Amazon?” Well, OK, some smaller personal purchases we just buy. But what about a car or house? Would you buy one without human interaction? Even when you “buy” a car on line, there is a dealership involved. In the B2B world where I spent my career there was always a buyer involved. People buy from salespeople they like. Maybe not always but when the buyer likes you it is much easier to get the information you need to close the sale. Plus if you find the buyer unpleasant you may just pass on selling to that company. Trust is everything. When there is not mutual trust closing the sale is impossible. Social sales calls allow the buyer and seller to build and strengthen relationship. They develop a “business friendship”. And we trust our friends. What are social sales calls? Sharing a meal together. A golf outing. Attending a baseball game. Perhaps an evening cruise on your sailboat. These are meetings with your customer which are outside the office and build the strong personal relationship. True, some companies forbid this kind of activity between salesperson and buyer. I think that is short sighted. Good relationships benefit both parties. And I’ve never gotten an order from a customer because I bought them lunch or took them fishing. Good buyers place orders when it is in the best interest of their company…. Are your sales growing? Where are the new sales coming from? No matter what business you are in, there are only four sources of new business. There are only 4 sources of new business. Only Four Sources Of New Business!? Why are there only four sources of ways to grow your sales? Think about it and look at the chart with this blog. 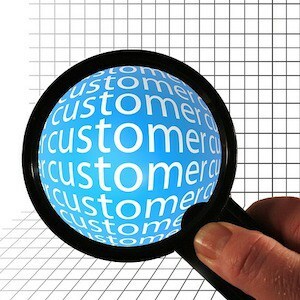 You can add new customers to buy your current product line or sell more of those products to existing customers. If your existing customers have needs for products other than what you currently sell perhaps you can add new products to your offering. 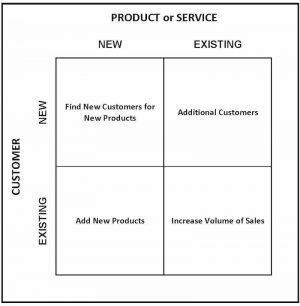 By adding new products the possibility exists for adding new markets with needs different from current customers. See, only four sources of new business for your company or sales territory. This is the most challenging way to grow business. It’s a difficult enough task to convince a new prospect to trust you even when you are selling a proven product. Convincing a prospect to take a chance with an unknown company and unproven product is not impossible but more difficult than other options. Do you set the stage for the next meeting before you end the sales call? For sales processes with long sales cycles and multiple calls to close, do you have a mutually agreed upon action plan at the end of each sales call? Selling expensive, complex products are a particular challenge. Great salespeople always sketch out the sales process from first contact to close. Who are the key players? What are their individual needs? How do they affect the buying decision? At each step along the way to close great salespeople set the stage for the next meeting.